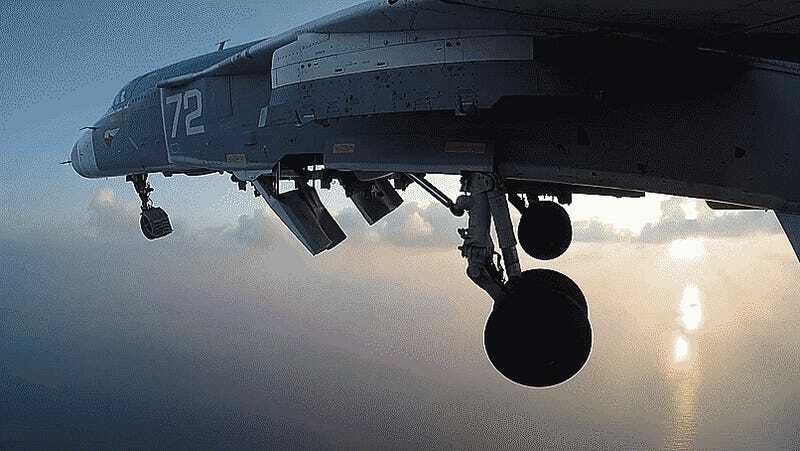 Russian jet crews in Syria are getting more creative with placing Gopro cameras on their aircraft during sorties. This video in particular of an Su-24, identical to the one that Turkey shot down last November, is pretty stunning. Note that this aircraft is dropping its load of “dumb” munitions from a high altitude. It is doubtful they all, or any for that matter, hit their intended target. This is nothing new as the effectiveness of Russia’s air campaign is Syria is highly inflated, and their use of dumb munitions, even loaded ontotheir most high-tech fighters, is damning proof of this. In the end, it’s 2016, air warfare has moved along from Vietnam-era tactics. In most cases there’s nothing smart about dropping dumb munitions from high altitudes, especially over urban areas—no matter where you place your GoPro.